Have you ever looked at your factory and thought: "I dunno, but what this planet is seriously missing is a decent four-lane highway network."? 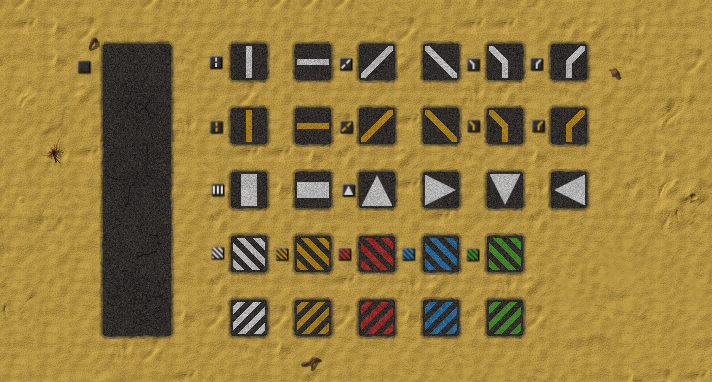 Then worry not: This mod was made to help fulfilling your infrastructure dreams. 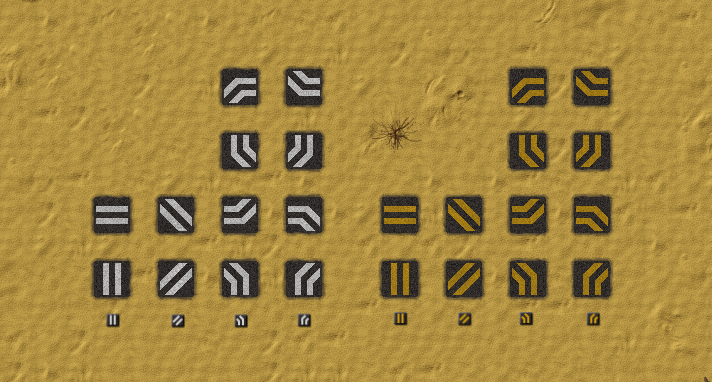 "Asphalt Roads" adds a new tile set with a smooth, black road surface to your games, including tiles for hazard marking and lane marking. Enjoy the reduced vehicle friction modifier and accelerate up to 200 km/h with your car (using rocket fuel). Asphalt is the base tile. Asphalt with lane marking consists of two items for white and yellow lane marking in 45, 90, 135 and 180 degree angles and two items for tiles that divert lines by 45 degree to the left or the right. Asphalt with hazard marking is for five separate items for white, yellow, red, blue and green hazard marking. Basic technology is called Asphalt and needs concrete as a prerequisite. Bio Industries: If present, crushed stone will be used as an ingredient for asphalt. This can be disabled in mod settings tab. Wood Gasification: If present, tar will be used as an ingredient for asphalt (replacing crude oil). This can be disabled in mod settings tab. This mod is mostly non-game-changing, apart from the reduced vehicle friction of asphalt. But this is compensated by the significant amount of crude and heavy oil needed for the production of asphalt. For more fun, i recommend the heavy use of blueprints! If you like this mod and you've created a translation of your own, please do not hesitate to send me this, so that it can be made accessible to all in the next version. Same, if you spot spelling mistakes. Thanks in advance!